Once described by US President Barack Obama as “a good-news story” in Africa and credited with overseeing Ghana’s emergence as one of Africa’s newest oil producers, the sudden and untimely death of late Ghanaian President John Evans Atta Mills in the early afternoon of Tuesday July 24 shocked the world. What was more incredible was the smooth power succession just a few hours later as Vice President John Dramani Mahama became head of state, devoid of any political crisis. This smooth transition of power is a testament to Ghana’s steady march towards consolidation of its democracy, within a turbulent West African region with trouble spots like Mali, Guinea Bissau and the insecurity that has beleaguered its giant-of-Africa neighbor, Nigeria. Importantly, when comparisons are made with the succession crisis in Nigeria with late President Umaru Musa Yar’adua, how both situations were handled tested the maturity and development of democratic institutions with profound effects on political stability and social cohesion in both cases. 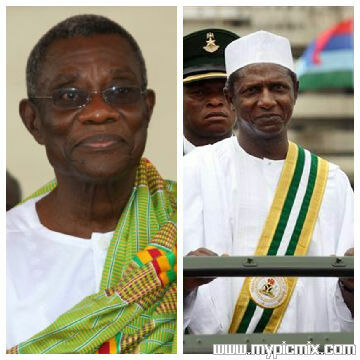 Atta Mills’ health, much like that of late Umaru Yar’adua had been the subject of much speculation since his ascension to the Presidency in 2008. Rumored to have cancer, false rumours of his death were rife on several occasions, debunked sometimes by Mills himself. His health progressively deteriorated leading opposition politicians and the media to question his ability to govern effectively. Like Mills late Yar’adua’s ill health, a chronic kidney condition was an open secret and a subject of intense speculation. Wild rumors of his death made the rounds severally and like Mills, his frail health degenerated visibly and rapidly with reports that he could only attend to official duties for about 4hrs per day before his sad demise in May 2010. In both cases, the Heads of States were encouraged by their handlers, the very group who hoarded information about their health, to continue running the country or running for second terms, despite the toll such responsibilities took on them. Ghanaians in blogs and internet chatrooms are particularly pissed off that the details of the health and death of a much loved Atta Mills remain sketchy. Similarly, late Yar’adua’s true health status was shielded from the public by his very powerful wife and some select cabinet members generated a lot of public outcry over the needless secrecy. This is just about where the similarities end. 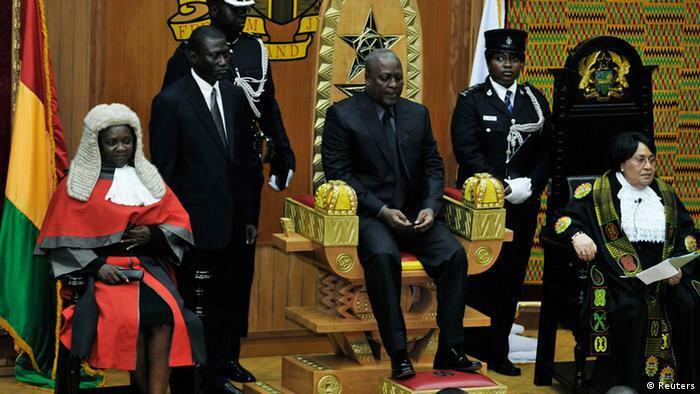 In Ghana, despite the controversy and mystery that shrouded late Atta Mills’ health, at the most crucial time after his death, the constitutional prescriptions for succession were swiftly and strictly adhered to as the Vice President was immediately sworn in as president. Mills’ died at around 2:15pm local time and by 4pm, Dramani Mahama had already taken the oath of office ensuring a smooth transition of attempts to subvert the rule of law for narrow interests. At this critical point, individual interests became subordinate to the collective interest of the nation by allowing democratic institutions to function as they ought to. Former President Jerry Rawlings, a critic of Mills’ leadership style broke down in tears, and the entire country was united in grief. In Nigeria, it was the exact opposite. Even before Yar’adua passed away, as his health deteriorated, the rule of law was subverted severally by his inner circle. Where power should have been handed over to the then Vice President Goodluck Jonathan to run the country since the President was incapacitated and was abroad for several months for medical treatment, the opposite was the case. The brewing succession crisis was not made any easier by inadequate provisions in the Nigerian constitution for such a situation which those who drafted it apparently did not envisage. The vacuum created led to a power tussle, embroiling and traumatizing the country in a constitutional crisis that threatened to tear it apart. So, why was it easy for Ghanaians to have a crisis-free succession while a similar scenario in Nigeria in 2010 nearly plunged the country into severe political instability? This has to do with the strength and maturity of the democratic institutions in both countries. Though Ghana as a fledgling African democracy has its fair share of problems; its political elite with various interests to serve and protect, however, at such a critical moment, the competing interests recognized the need to subordinate their various interests to that of the collective whole, and allowed the institutions to function as they were meant to, for national unity. Faith in institutions by the political elite and power brokers is the life essence of political institutions that makes them function effectively. By contrast in Nigeria, during the Yar’adua health saga as with many trying periods in the nation’s history right from independence, when collective interest should be substituted for the individual, the opposite was the case. There were strategic alliances, alignments and re-alignments by various power brokers whose interests trumped that of the collective. It was only when the impending political stability threatening to plunge the country into absolute chaos was imminent that that the rule of law was grudgingly observed, after severe damage had been inflicted. Nigeria’s succession crisis in 2010 betrayed the weakness of democratic and political institutions to aggregate and supersede various narrow interests in times of national crises. It also shows how the political elite in Nigeria actually have little faith in such institutions to protect their interests in such trying times, such that they feel their best bet is to retreat to individual, narrow, or primordial loyalties which would serve them better, yet battering and bruising an already fragile nationhood in the process. While having strong reform-minded people with foresight heading institutions is what builds institutions, it is faith in the ability of these institutions by the political elite that actually breathes life into them. Strong political institutions count increasingly for many African countries on their march towards democratic consolidation, and of course with such gains, Ghana continues to be one of the beacons of functional democracies on the continent. Both cases are incomparable in all ramifications. How could one be sure that the wife of Atta mills wouldn’t replicate the same sit-tight syndrome demonstrated by Turai Yar’Adua and other pro-Yar’Adua powerful cabinet members if Atta Mills had stayed long in the hospital just as Yar’Adua stayed before death (after all Goodluck Jonathan too was immediately sworn in after the Yar’Adua’s death)? Its like comparing orange wit onions. President Goodluck Ebele Jonathan was sworn in C-in-C of the Armed Forces of the Federal Republic of Nigeria as soon as President Musa Yar’Adua, GCFR passed on. In the case of Ghana, their President did not suffer long in a foreign hospital. We should not overlook these facts and we must not always compare ourselves to Ghana! Like someone said,may their gentle souls rest in peace,ameen. Comparing Nigeria to Ghana as commented by someone to be of no basis is by far uncalled for. Millions of times I had do that again and again,reason(s) not far fetched. This was the same country we considered inexplicably inferior,and in reality,inferior by almost all standard. Is just like the least child of a king becoming the king even before the death of his father and at the expense of his elder brothers. I’m sure that will call for lots of noise right? That’s what’s happening between Nigeria and Ghana. Now to the piece. Let me start with the similarities. Like every other bureaucratic institution,protection of interest has always being top most. In these two cases,the cohorts were always optimistic of having their top guns back on their feets,hence,their actions. But instead of been justified,that duly exposed the perpetual shortcomings of both handlers and the so called inner circles. Knowing fully that certain sections of the constitutions (both Nigeria and Ghana) do not condone certain degree of presidential ailment,the handlers choosed to abridged the constitutions,unofficial though by keeping secret the factual state of their leaders’ health. But we can only fool humans not God. For the different ways the transitions occurred, that’s just a clear picture of the shrouded democracy we are practising in this country. A monopolised and self interest based democracy. Names doesn’t consolidate democracy,but functionally existing trend that constitute foray of foresighted,selfless and dynamic guards does. The crisis fully does but promotes our rank interms of democratical limitations and inability to express institutional maturity when faced with a political shortcoming. The chorus we kept singing that our democracy is still a baby one doesn’t hold water compare to the narssistic acts being perpetrated by those Nigerian politicians all in the name of democracy. That’s abuse of words if you ask me. Sometimes I seized to believe that those people conceived the ideal orientation of democratical processes. The democratic settings in Nigeria was overwhelmingly built on false mission and unproductive roots. The crisis experienced in 2010 was just one of its manifestations and many deficiencies abound. Overall,every country can go right or wrong. When right,to be maintained. When wrong,to be set right. The Ghanians have choosed to set theirs right and one of the features was exemplified by the smooth succession of power as outlined by Zainab in this piece. Until we choose to set ours right,we may continue to be faced with the consequences of founding a democracy on the wrong footings. Thanks as always Zainab for the piece. To me this opening statement along with all the other buzz words that follow, left me wondering about this whole smooth transition. Time will tell, as often we must wait for the real truth to expose itself. I am particularly miffed by the presence of a dignitary dressed in robs of the oppressor and a white wig of the European Court. As they say a picture says a thousand words. I am not Ghanaian, I don’t live there, and though I have been there only once, my knowledge about the people and the politics comes to me from those who do or have lived there.. This does not feel right to me, at all. They found great oil reserves and now their President is dead. Hmmmmm? Changing of the Guards?